After months and months of no news on Krypton and little overall. David S. Goyer has finally given word. He gave statement to ComicBooks Ashley Robinson. He stated that the series will take place 200 years before Man of Steel. He also mentioned that we will see the ancient civilization at its height with the politics of the world, the culture, the art, and all of the Guilds. Goyer went on to further elaborate on the series with confirmation of Kryptopolis, Wegthor, Mithen and Xenon. However Argo City and Kandor were unmentioned; following suit of the absence of Kandor was the silence on Brainiac. 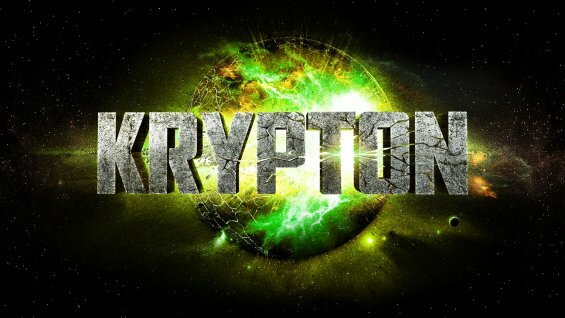 Krypton premieres on SyFy January 10, 2016. After the newsbreak above Krypton once again fell off the radar. But new has been received once again that a Pilot is very near to happening. With how this series has gone i would take that at a grain of salt. Syfy has officially ordered the pilot episode written by David S. Goyer, Executive Produced by Goyer and Showrunner Damian Kindler and will be directed by Colm McCarthy. Krypton, Superman, DCEU, DCTVU, DCCU, Supergirl, Man of Steel, Syfy, DC, Comics, Television, Movies, All Things DC.